A new day in the Bigg Boss house began with a fight, yet again. Surbhi Rana and Romil Chaudhary had an argument over their past few fights while Sreesanth and Dipika Kakar, fought after the cricketer said that she and Karanvir Bohra get preferences in the show because of their star status and also because they have worked for the channel previously. Sreesanth's statement irked Dipika and she said that this isn't true. Dipika told Sreesanth that she was hurt by his statement and considers it wrong on his part to say all these things. 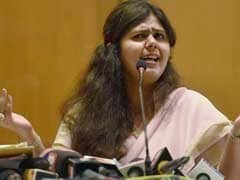 However, after Sreesanth's apology, the duo ended their fight. Soon, Bigg Boss announced the task for the week - ticket to finale. A fire brigade was set up in the garden area and two buildings opposite to it. The contestants had to be the firefighters. With each fire alarm, two contestants had to go in the fire brigade and mutually decide who they want to save for the finale week. After the task was announced, the housemates discussed their strategies. Karanvir paired with Somi Khan and between Surbhi and Romil Chaudhary, they chose to save Romil. Romil and Deepak went next and they nominated Somi. Interestingly, the duo had to save in between Deepak and Somi, hence, they chose to nominate her. 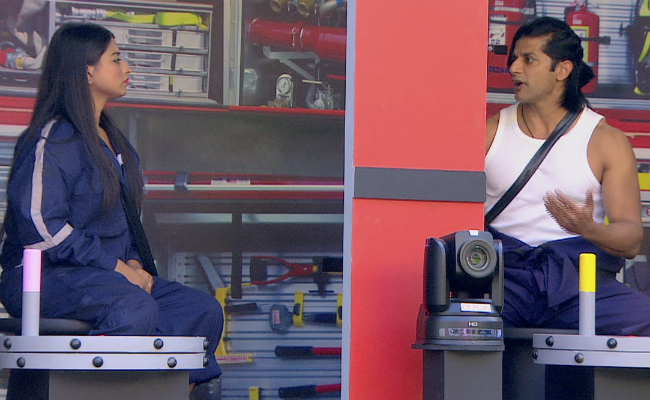 Somi and Karanvir went again and nominated Romil for evictions. Somi, Karanvir, Romil and Deepak played in turns while they didn't let Sreesanth, Dipika and Surbhi take a seat. Karanvir was nominated next and later Dipika. Romil and Deepak nominated Somi and with this, Monday's task came to an end. The task will continue in Tuesday's episode.